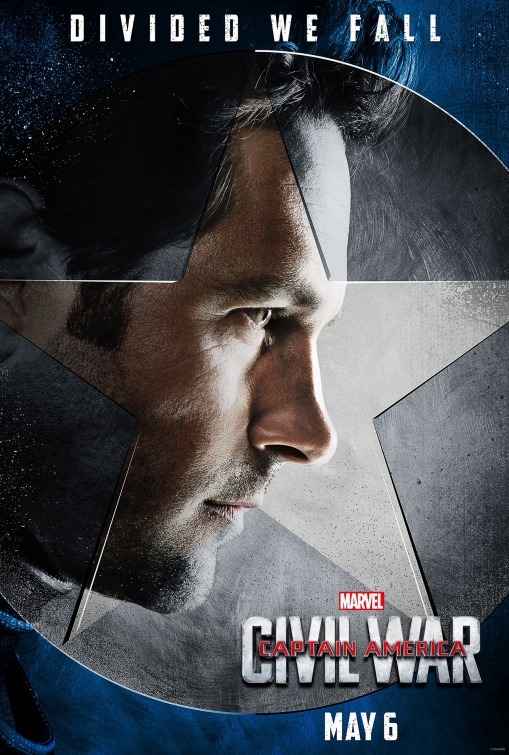 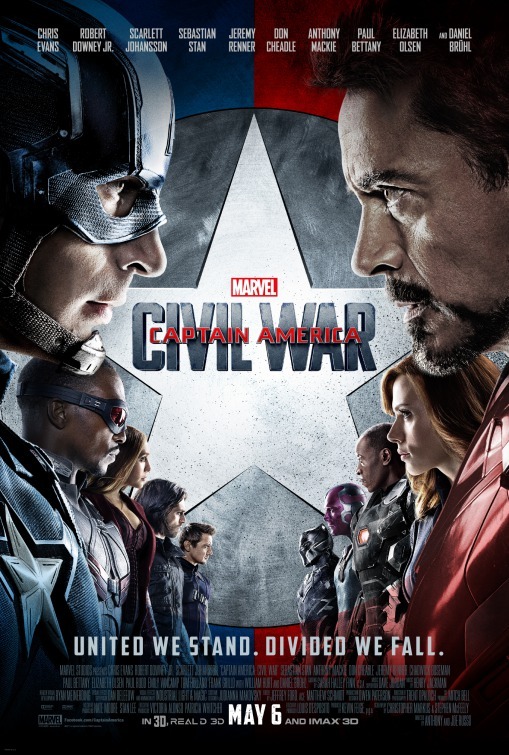 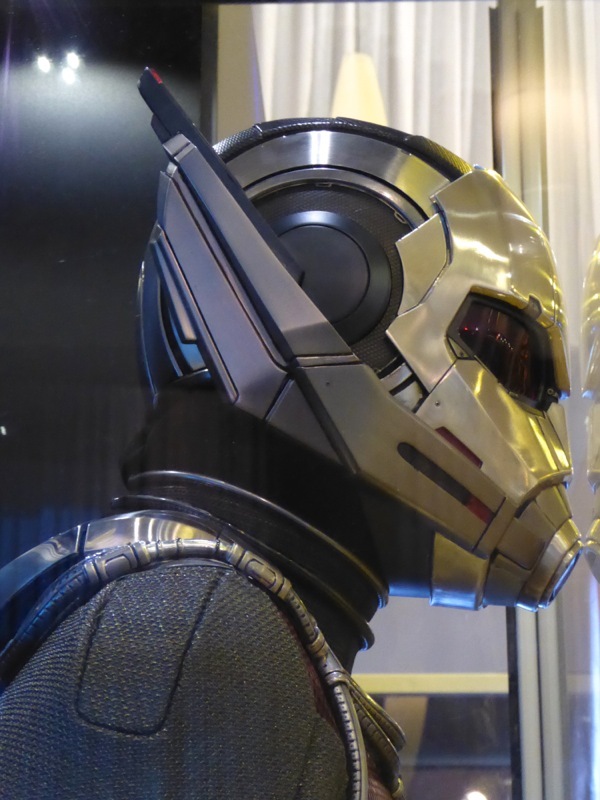 This May Marvel's superheroes must choose sides in Captain America: Civil War and Paul Rudd's 'Ant-Man' chooses 'Team Cap', and the shrinking, ant-controlling hero debuts a brand spanking new suit. 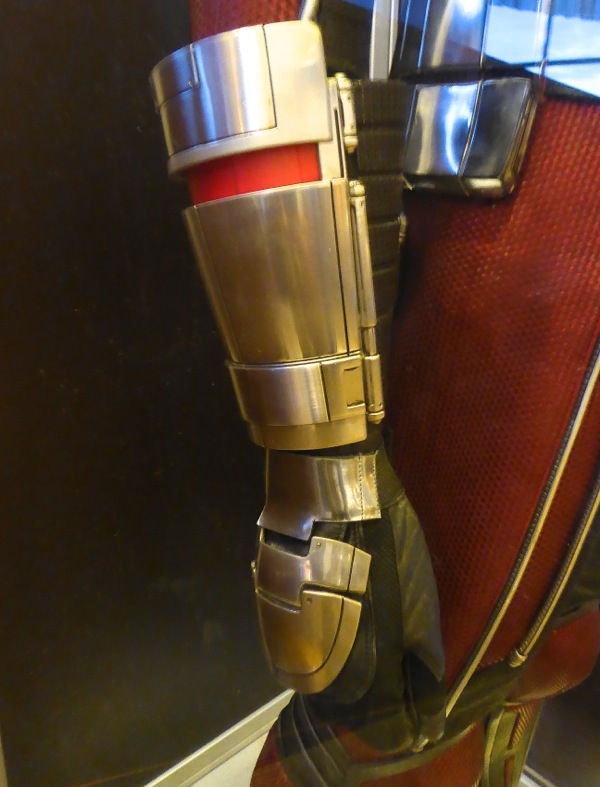 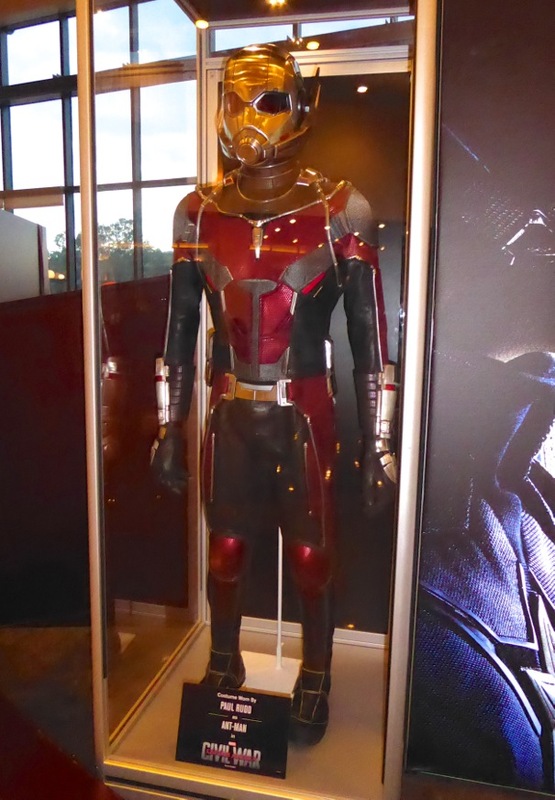 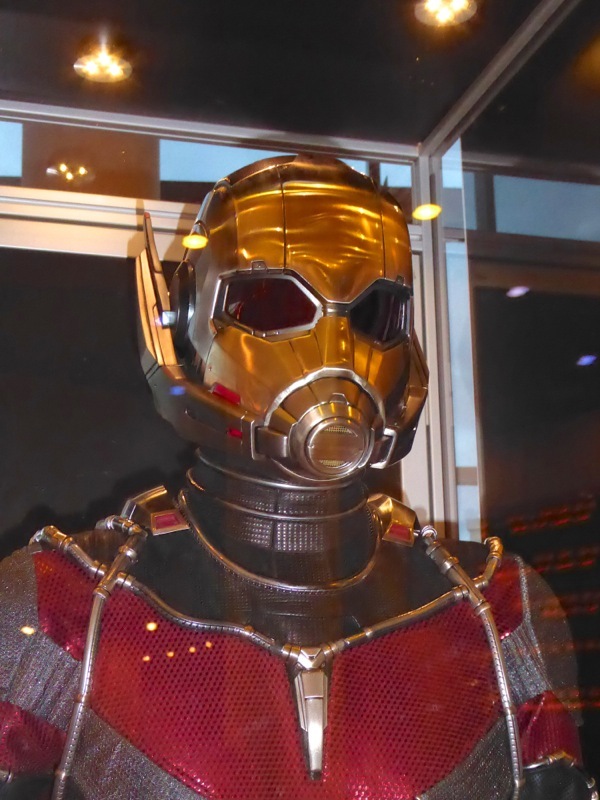 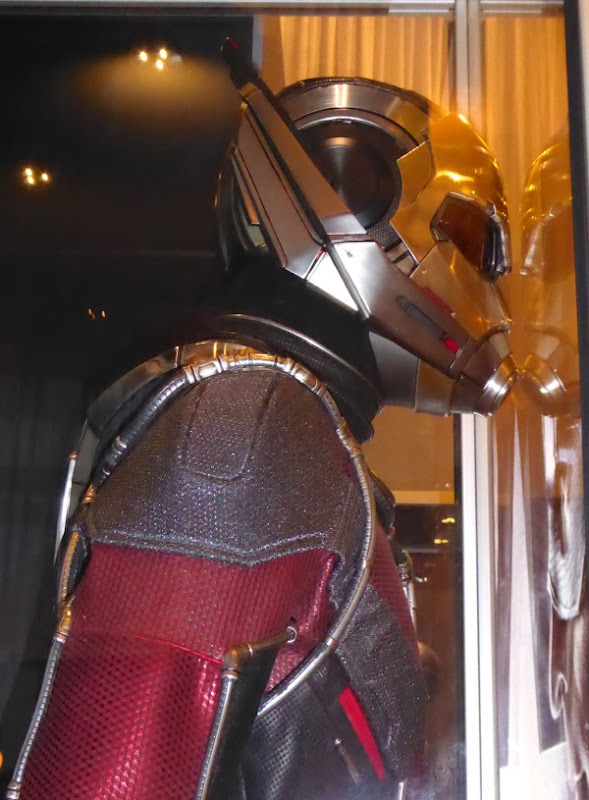 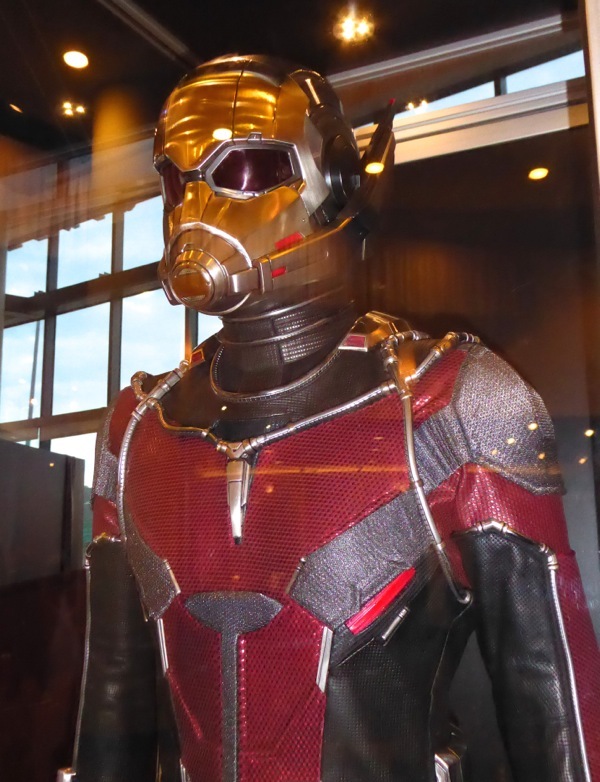 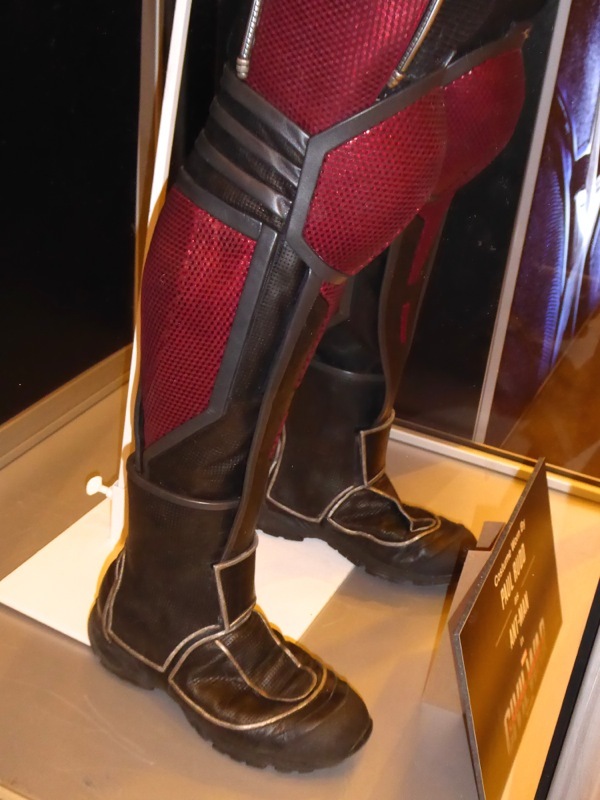 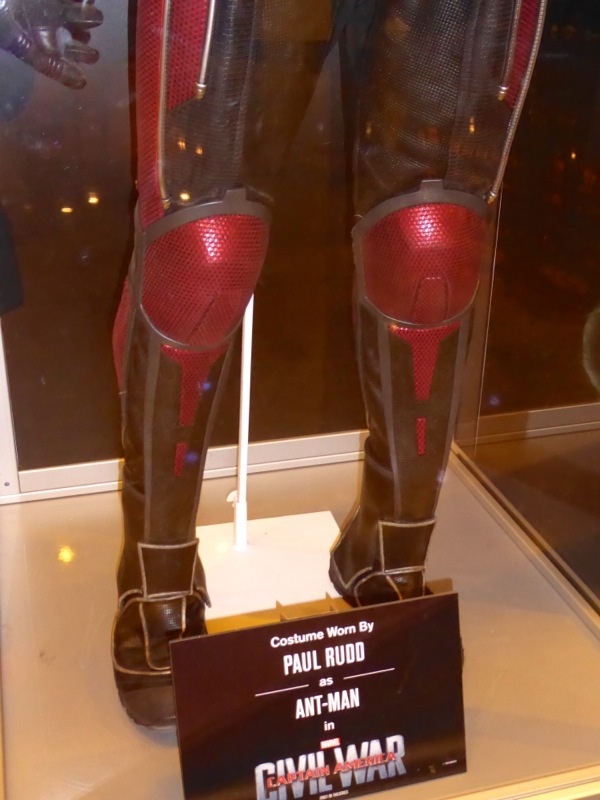 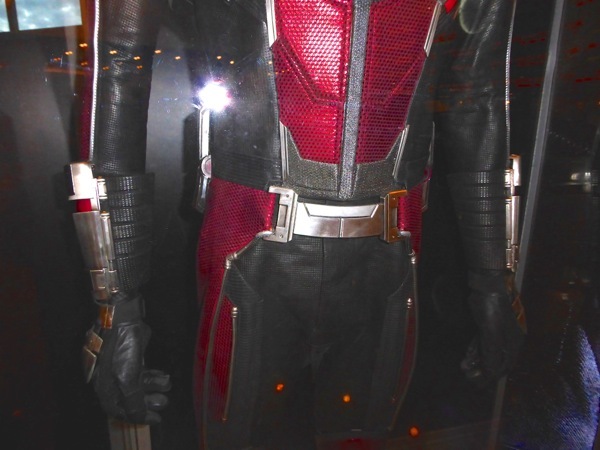 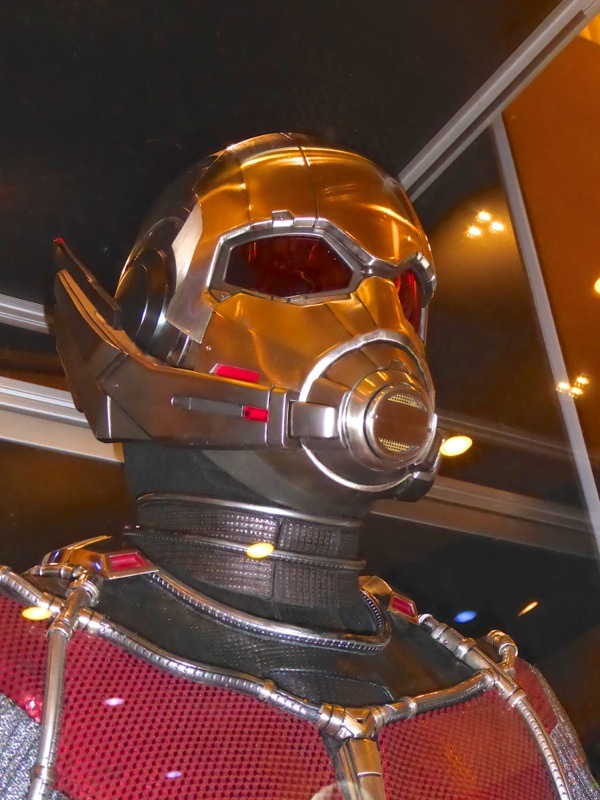 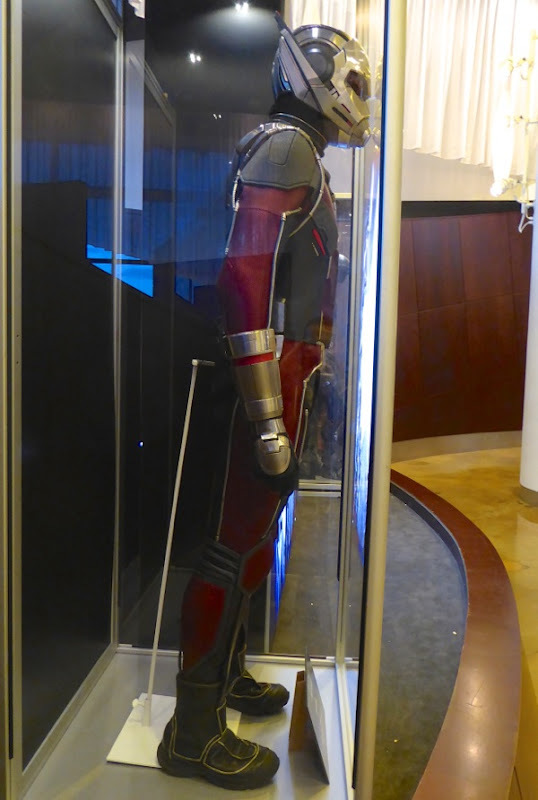 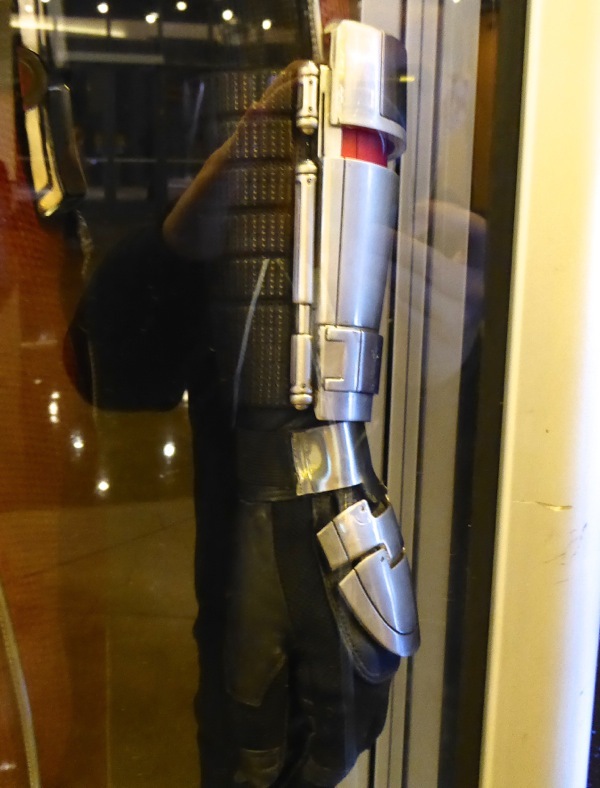 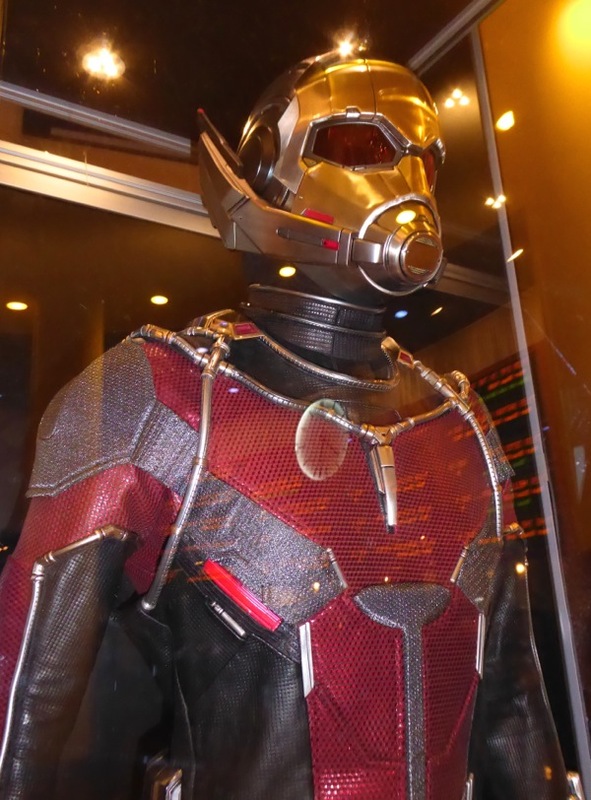 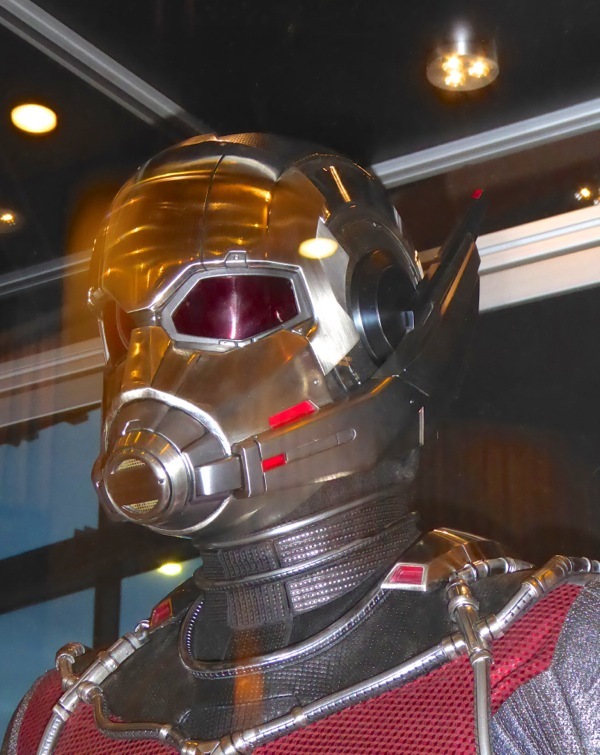 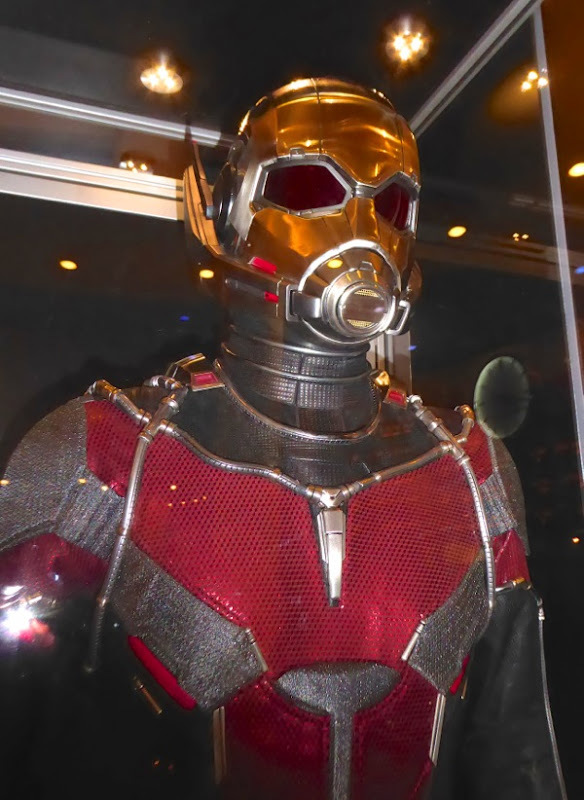 Judianna Makovsky is Costume Designer on Captain America: Civil War and this revamped Ant-Man costume was photographed at ArcLight Sherman Oaks cinema on April 10, 2016, alongside Anthony Mackie's 'Falcon' movie costume (more on that soon). 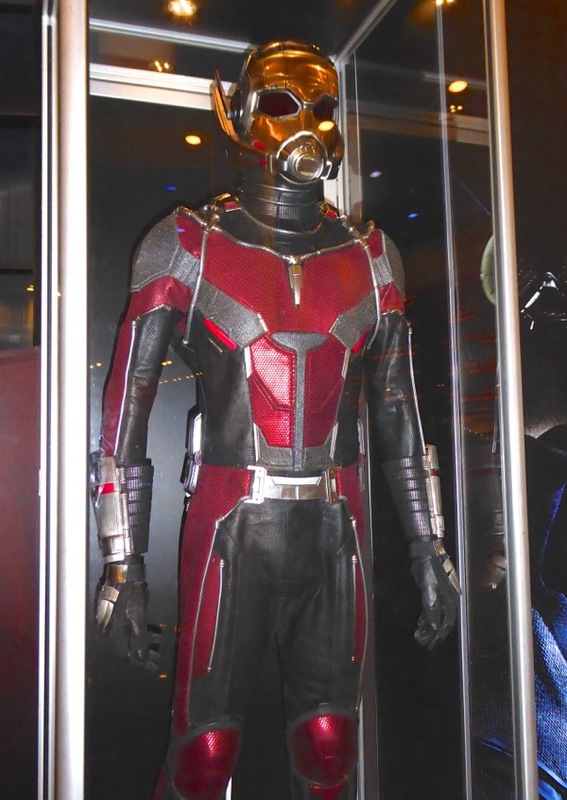 It makes total sense that Paul Rudd's character 'Scott Lang' would sport a new Ant-Man costume as the one he stole in his solo movie was Hank Pym's original suit. 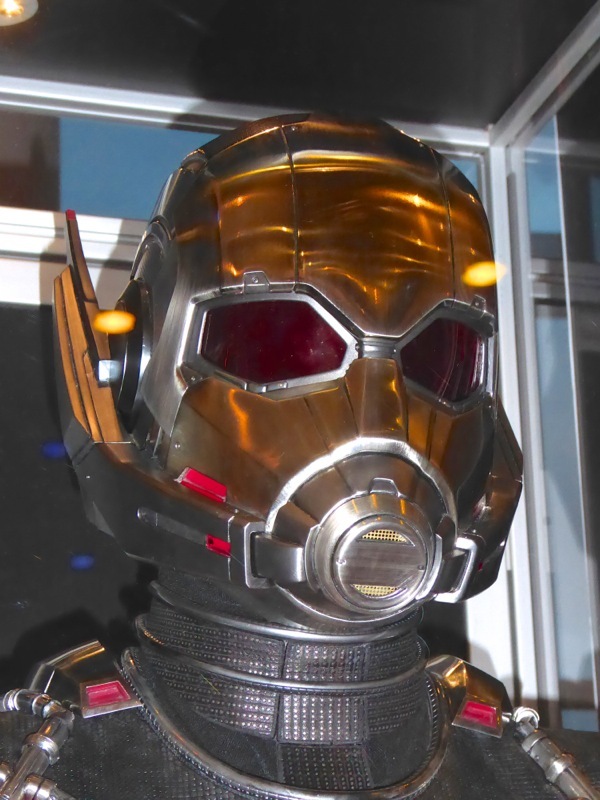 The red stripes on his helmet are gone, his antennae have a more prominent mecha-like feel to them and his helmet overall is more streamlined and modern. 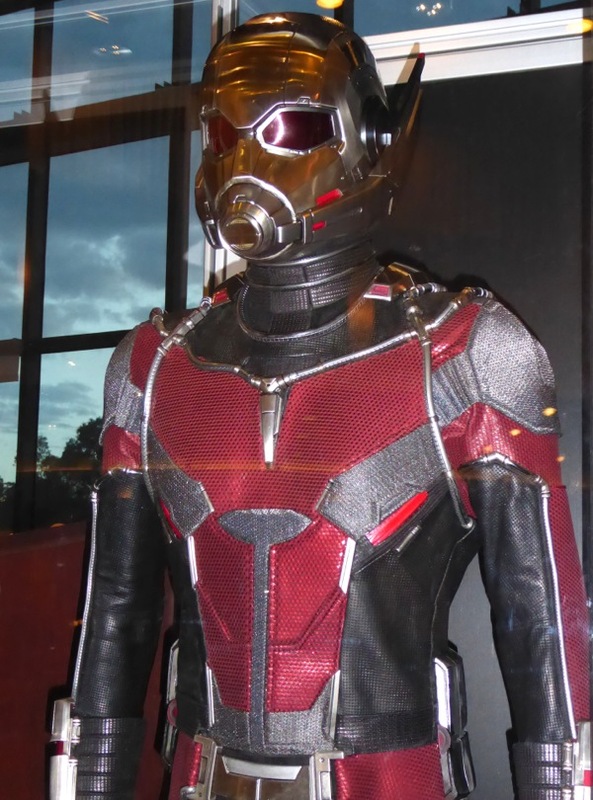 I also like the paneling on his upgraded costume, which gives the suit a more insect-like feel and I can't wait to see it in action. 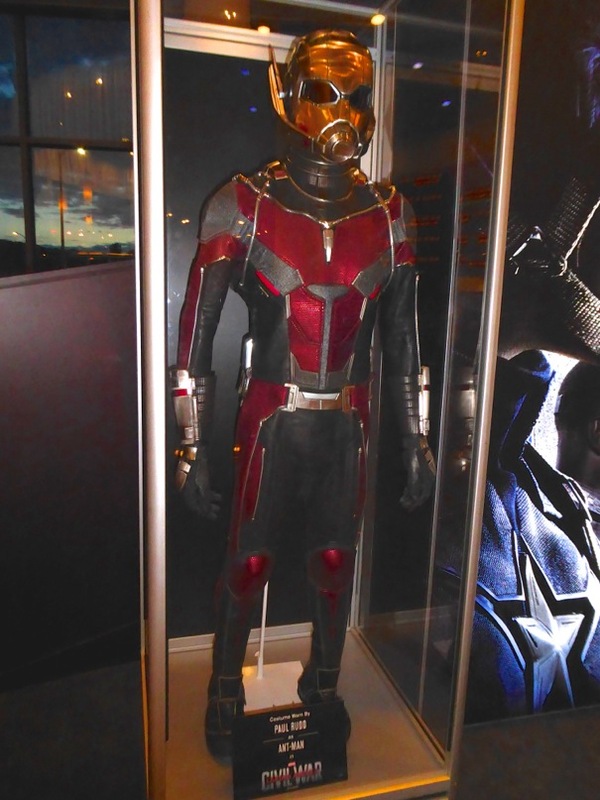 If you like this dynamic new look, be sure to compare it to the Ant-Man movie costume from his first solo film. 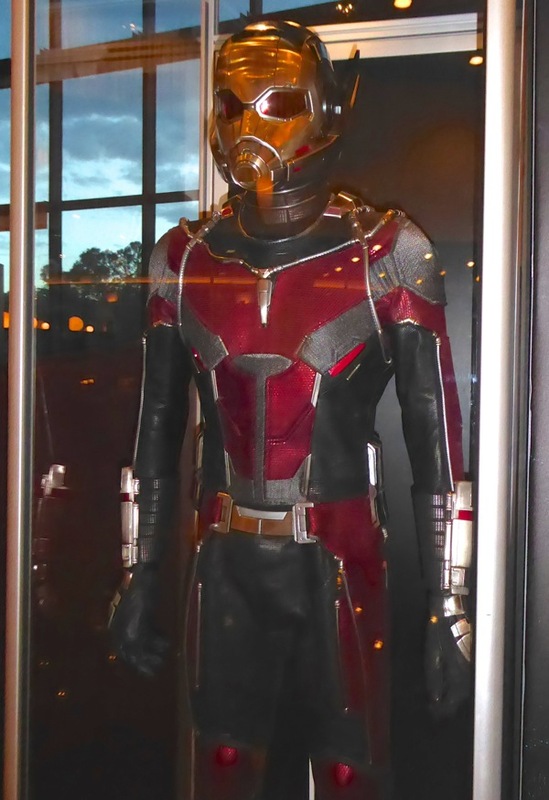 Now I can't wait to see what look they make for 'Wasp' in his solo movie sequel. 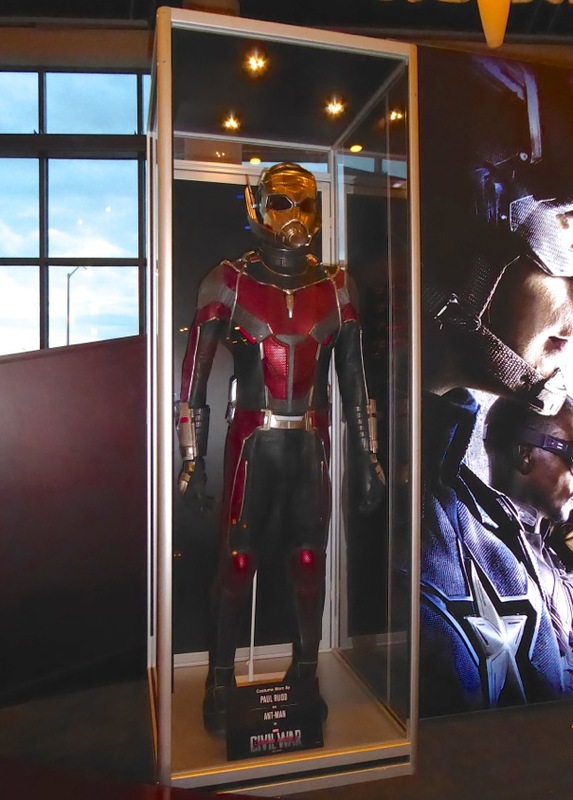 Stay tuned in the days to come for even more costumes from the new Captain America movie, plus make to check out Captain America's new costume and the costume for Winter Soldier that is currently on display at ArcLight Hollywood.